Fruitless Pursuits: INTERVIEW: Marc Tyler Nobleman, author of Super ‘70s and ‘80s: Original Interviews with 100 lost stars of Superhero Pop Culture! 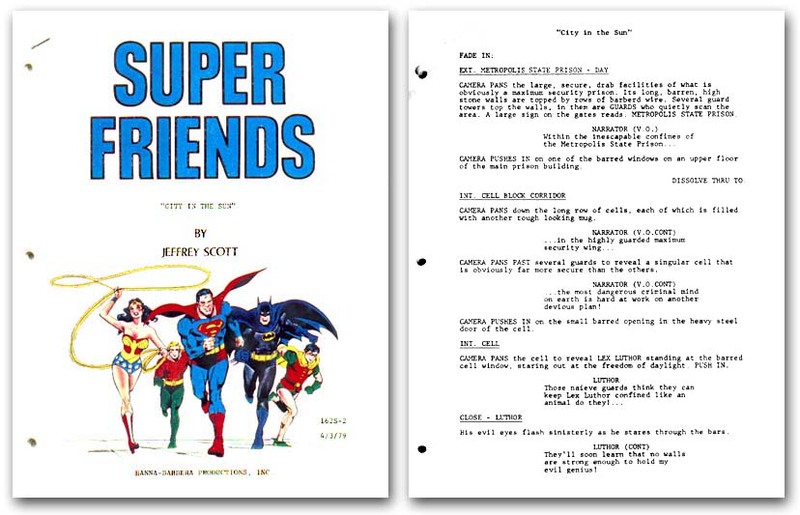 INTERVIEW: Marc Tyler Nobleman, author of Super ‘70s and ‘80s: Original Interviews with 100 lost stars of Superhero Pop Culture! Marc Tyler Nobleman has accomplished the impossible! An author and huge fan of classic superhero pop-culture, Marc has tracked down 100 "forgotten stars" - Super Friends voice actors, writers and producers, theme park performers, singers, and Superman the Movie actors - and interviewed each and every one of them for a series on his site Noblemania. It's a massive undertaking and it makes for a fascinating read, unlike anything I've ever encountered before. So, naturally I was thrilled when Marc was gracious enough to let me turn the tables and interview him! Join us after the jump to find out all about the process, the discoveries, and the current state of superhero entertainment! Firstly, congratulations on completing a truly epic project. The amount of content already on your site is exhaustive and there’s still a lot more to come. How would you describe the genesis of this project to a newcomer? Thank you. It was indeed a massive undertaking; I started it in December 2009 and finished in July 2011, though, of course, worked on other things in between. I write books, mostly for young people, and I blog to share unusual research and promotion stories about my books. It serves a useful purpose. But what makes a blog a destination is content that is not only original but desirable—and unavailable anywhere else. I was (and still am) a huge superhero fan, and it’s influenced my career. One of the books I’ve written is a nonfiction picture book called Boys of Steel: The Creators of Superman (2008). I’ve written another on Batman (due out in 2012). I am also heavily prone to nostalgia. So I fused my fondness for research, love of superheroes, and sense of nostalgia into a project that started small but became a monster: I tracked down and interviewed people who created some of the superhero entertainment of my formative years—but not the biggest names. I wanted the people we haven’t heard from yet. When I started, I expected this would encompass maybe 20 people; by the end, it included an even 100, not to mention quite a few more I talked to but for various reasons were not included or people I tried to find but couldn’t. A feature compiling 100 new superhero-themed interviews and previously unpublished candid photos would not only bridge the gap between my two superhero books but also qualify for the trifecta mentioned above: original, desirable, and unavailable anywhere else. 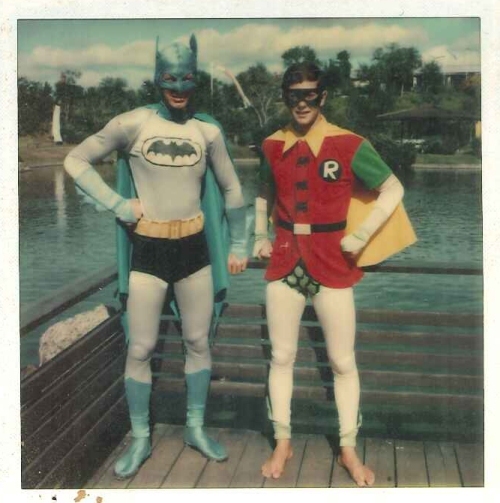 Why superheroes, or more specifically, why the Super Friends? I was a huge fan as a kid and now show the DVDs to my kids. Yes, the animation was poor, the characterization anemic, and the dialogue laughable, but not always—and some of the stories were actually pretty good. Also, it’s refreshing to see heroism that is not cynical or self-aware. Much rarer these days. On television, especially, these characters weren’t dealt with in a lot of depth, and there appears to have been many constraints on what they could or couldn’t do. Yet why do these characters still resonate -especially in regard to their portrayal in these particular shows? Yes, the characters didn’t have depth, which made me all the more curious to see how the people behind them handled that. Did the writers grumble and the voice actors struggle because most of the characters had the same textureless personality? I asked them these questions. These particular portrayals resonate simply because every generation has its superhero incarnation and mine just happened to be Super Friends. Heroism never goes out of style. Original script by writer Jeffrey Scott. (All images from Noblemania. Used with permission). As a life-long Star Wars fan (I was born in 1976) I certainly understand a long-term attachment and interest in a group of characters. What, for you, is the value of nostalgia? What drives us to keep looking backwards? How important a role does nostalgia play in this project, or are you primarily motivated by something else? Of course, we are all the sum of our past experiences. And as noted above, yes, nostalgia is a big part of my constitution. This is in part because I’m a curious type, which is almost a given in a writer. Many people seem most curious about their present and future and dismissive of their past, but learning more about the past is almost always enlightening and can also be beneficial. One side perk about such a project is that it allows me to be a connector. I love doing what I can to reunite old friends or colleagues and I love being able to tell a former performer who has moved on with his life that he still has fans. I become friends with many of the people I interview. I force it on them at first, but eventually most seem to warm to it. As a follow up, I notice that many of the voice actors, particularly, don’t share a nostalgic love for these characters. They may have enjoyed their experience, but they don’t feel an attachment to the characters themselves - their time on the show was really just another job for them. I’ve seen fans feel frustrated by this sometimes – for example, Star Wars fans can get ruffled by the fact that Harrison Ford seems dismissive of Han Solo and the movies in general. As fans we seem to want him to love the character as much as we do. Having interviewed such a wide range of participants, what’s your take on this? Yes, naively, I didn’t expect the “just a job” response. It was jarring at first, but it was a good education. Learning something new means you’re doing something right in the process. In fairness, some did have fondness for the experience. Also, in most cases I’m asking them about work they did more than 30 years ago. Memory is deceptive. If I was asking them about the experience only five or ten years after the fact, their answers probably would have been different. Reading your interviews, I’m almost just as fascinated by what’s not being said. Some of the participants seem very brief, or gruff. Almost like they don’t understand why there’s still an interest in their work. Do any experiences stand out in this regard? While the terseness of a few did frustrate me, I understood it. None of them knew how serious I was (and none could know the scope) until they saw the finished product. A couple of people have since apologized or even expressed regret for not participating. I also understood when any given performer told me that s/he didn’t think anyone would still care, but what I didn’t understand is when s/he held that view even after I assured him/her that I wouldn’t be wasting his/her time or mine if no one still cared! Are there patterns forming? Does the interest in the material vary between the actors and the writers, for example? Was there anyone who surprised you by how passionate they were about the material itself? As you’ve seen, few of the Super Friends voice actors responded in a way that could be interpreted as passionate. Most expressed passion for work but not specifically for their characters. However, I was interested to learn that Fernando Escandon, voice of El Dorado, a character introduced on Super Friends in 1982, was a fan of the show beforehand. But he was the only voice actor who shared anything like that. Animator Darrell McNeill was hugely passionate (and knowledgeable) about DC heroes before and during his time on Super Friends. 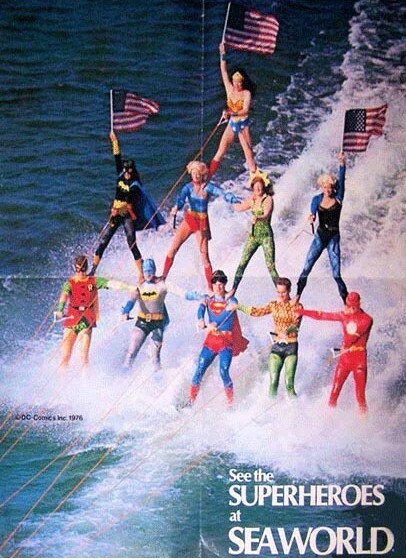 A few of the Sea World superheroes were comic book fans prior to taking a role in the show, which was sweet to learn. But the majority of them were more interested in the stunts they got to do than the costumes they had to wear. Moving beyond Super Friends, you have some incredible stories being told that transcend the characters. Specifically I’m referencing the waterskiing show. I’ve always been fascinated and bewildered by the famous poster image and have wanted to know more. You’ve put together a huge resource on the show, its performers, and all of the behind-the-scenes shenanigans. It’s a wonderful snapshot of the magic of that time. What drew you to this show? What have you enjoyed most about preserving this more unusual chapter of entertainment history? The Sea World subseries may be my favorite of them all, and the people in it are the least “famous” of the bunch. The reason I like it so much is it’s a story we can all relate to—the coming-of-age summer job. More than any other subseries, this one is a true narrative with humor, romance, danger, sorrow. One skier said a reunion could make a good reality show and I agree. To many people my age (born 1972) who grew up on comics, the late ‘70s Sea World show seems like a dream. Many of us remember the ubiquitous ad for the Sea World show that ran in comics but comparatively few made it Ohio or Florida to actually see it. I loved anticipating a bemused reaction from both the former skiers and superhero fans. Sure enough, plenty of skiers said “It was just a job.” But as they told their stories, it became clear that for most of them, it was more than that. And fans, too—some seem to think “How wacky”…but once they dig into it, it proves compelling. Broadly speaking now, what was your greatest find? Who was the most difficult to track down, or hard to access? Who couldn’t you believe you found? With Super Friends, the voice actors of Black Vulcan, Green Lantern/Apache Chief, Jayna, and Captain Cold were tough to find. I also felt a coup in getting the voice actor who portrayed Firestorm and an actor from an upcoming segment who portrayed Batman in a stage show since both continue to work in the industry; neither are household names but both are established and one in particular is recognizable. With Superman: The Movie, finding Bo Rucker (the pimp) elicited a small victory dance. And several in upcoming subseries including the actors who portrayed Hawkman and Captain Marvel in Legends of the Superheroes, the actor who portrayed the live-action Plastic Man host of the cartoon, the two original singers of the Scooby-Doo theme (not a superhero show, of course, but a cousin), and the singer-songwriter behind the best track from Ghostbusters, “Magic” (again not a superhero property, but close enough). Can we get a tease of one of your favourite stories? Mark Taylor, who played Plastic Man. Like many I had the fortune to interview, he’s a class act—but his life took a heartbreaking turn at one point. He’s doing great now but the effects do linger. Let’s look forward. Did any of the post eighties superhero entertainment capture your interest? My own interest in DC probably stems more from Batman the Animated Series and Justice League/Justice League Unlimited. Have you engaged with these? How do they fare against the originals? I love those shows (in particular JLU) but am not interested in covering them in such a format because they’re too new. They’ve already been sufficiently documented. Do you keep up with the comics? Are events like the current DC reboot even on your radar? Yes, and I’ve gotten a number of the number ones. I haven’t LOVED any but so far am most engaged with Batgirl, Animal Man, and Suicide Squad. Now that’d be a team-up. Because of the writers involved, I’m especially looking forward to Aquaman and Firestorm. What do you think of the current state of superhero entertainment? At times I personally find it quite dark and alienating. What works for you? What needs to be fixed? I agree with dark and alienating. I’m currently rereading some early ‘80s Justice Leagues by Gerry Conway. While the writing can be purple at times, the stories were often pretty tight and the set pieces quite good. That’s why my generation got hooked in the first place. I don’t think the current generation has a comparable option—the comics are either too cutesy or too violent. My dream would be a Justice League book with one-and-done stories or short arcs, and ones that actually have an exciting and challenging climax. What’s next for you? Any plans to turn your research into a book? Next is a nonfiction picture book on Bill Finger and the creation of Batman, due on July 1, 2012. I wasn’t planning on converting this blog series to a book but someone did suggest it and even suggested a few university presses that might be interested. I know there’s a significant audience for the material but don’t know if there’s a significant MARKET; after all, I’m already giving it away for free online. But I’m open to the prospect! Huge thanks to Marc for lending us his valuable time! To begin the epic journey on his site start here. You will discover so many amazing stories and original photographs! Thanks for the coverage and great questions, Luke!